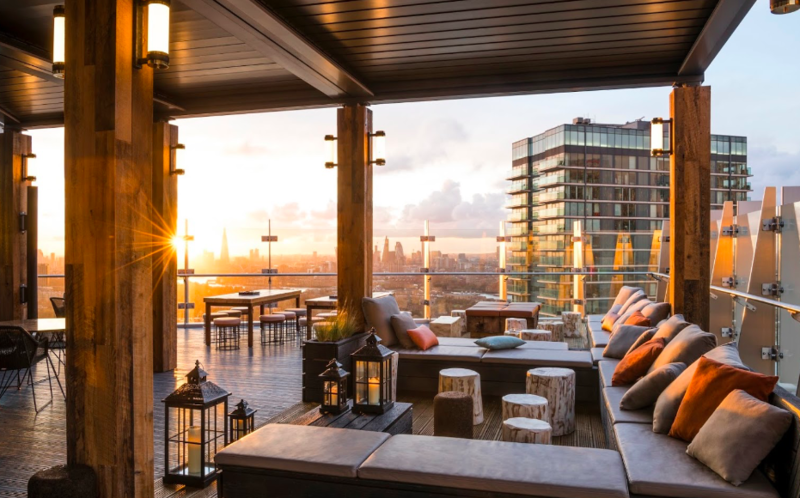 Bōkan, housed at the very top of Novotel Hotel in Canary Wharf includes a restaurant, bar and roof terrace spanning across three floors. Offering a jaw-dropping near 360-degree view the sky-level restaurant is located on the 37th floor, the bar on the 38th floor and the roof terrace at the very top on the 39th floor. 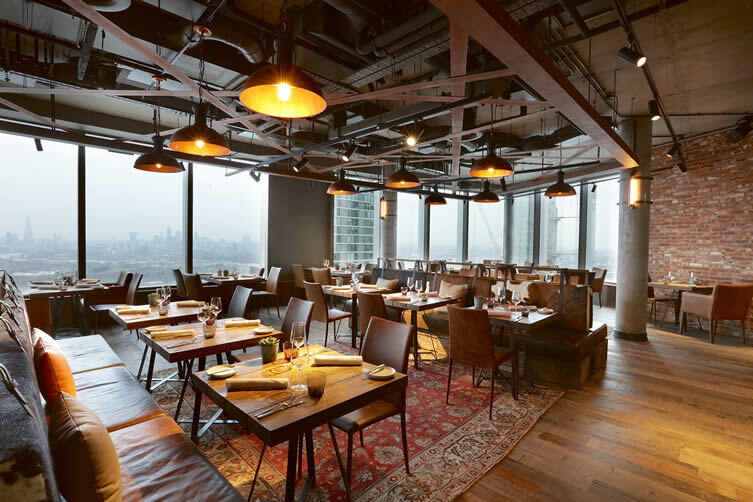 Bōkan located in the busy financial district of Canary Wharf in the heart of London’s docklands opened in March this year and is a new addition to sky-high dining. 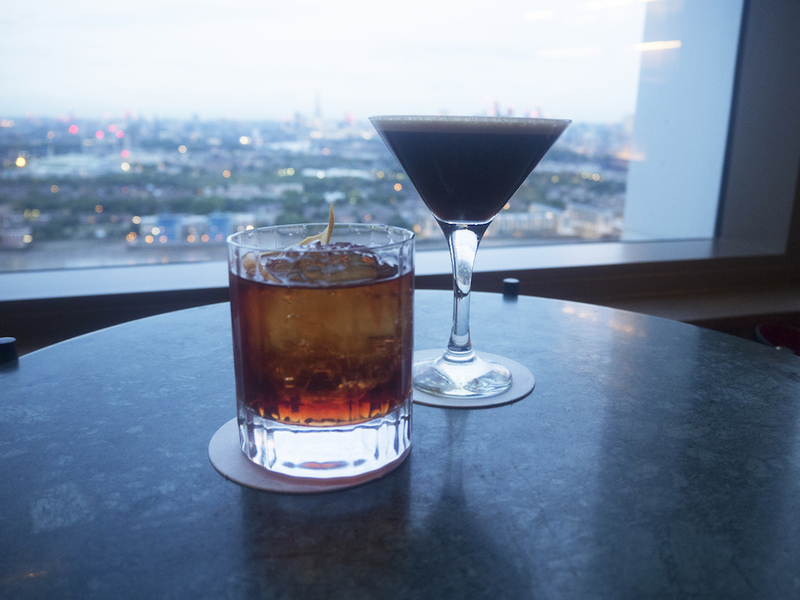 This place is best experienced by working your way down starting from the roof-top (if the weather permits) down to the impressive bar on the 38th floor and finally enjoy a dinner on the 37th floor. Bar 38 serves up a great selection of cocktails made by a talented team of London’s top mixologists lead by Danilo Tersigni (previously Mr Fogg’s). The cocktails are cleverly paying tribute to the history of Canary Wharf including the West India Docks and East India Docks. Royal Captain is made from Hendrick’s gin, lavender infused Mancino Vermouth Bianco, elderflower cordial, cold jasmine tea, grapefruit bitters, topped up with soda whilst Wharfinger is a mix of Martell VS cognac, Roots Mastiha liqueur, Mancino Vermouth Secco, Amaro Montenegro, orange bitters. The bar area has comfortable leather armchairs along the windows and has a nice vibe and relaxed atmosphere. 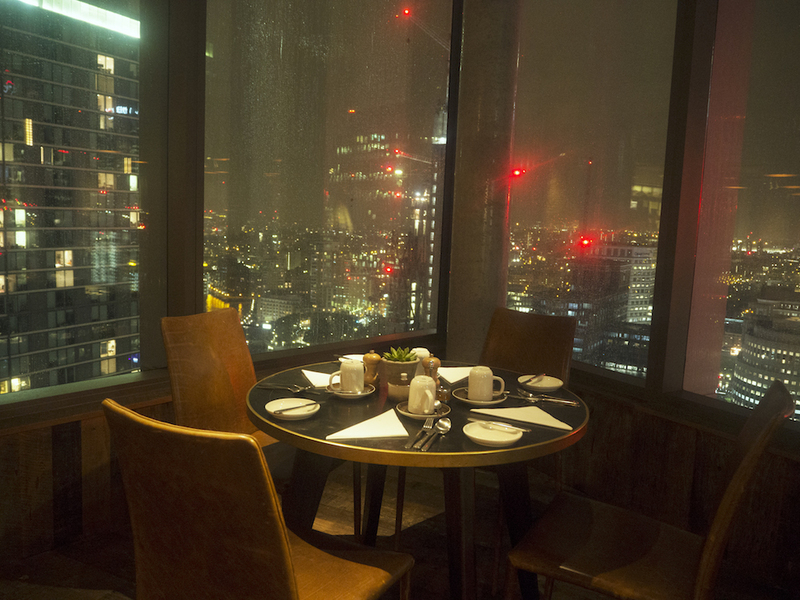 Take the stairs down to the 37th floor and you’ll find the award-winning 2 AA Rosette restaurant Bōkan 37. Here the interior design creates a relaxed and inviting feel with warm tones, wooden flooring, brick walls and leather chairs and sofas. The European menu is created by head chef Aurelie Altemaire (former head chef at the Michelin-starred L’Atelier de Joel Robuchon). For starters, the Aubergine & piquillos pepper, white tuna ventresca, roquette, black olives and the Cured & confit salmon, smoked creme fraiche, potatoes and Avruga caviar are both excellent choices. 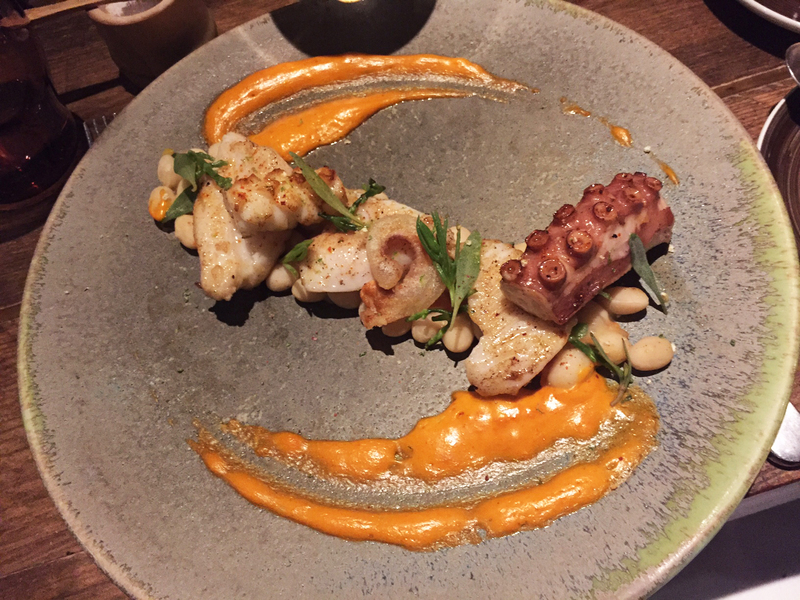 For main the popular Seared John Dory, Paimpol coco beans, smoked peppers, octopus, squid and yuzu meets all expectations and is served with side orders of market vegetables and mash. The desserts are scoring top points for presentation, they are little pieces of art. The apple tart tatin served with creme fraiche, vanilla ice cream and candied pecans is delicious and the fresh figs, raspberries, cheesecake cream, cinnamon streusel and horchata ice cream does not disappoint either. The service is friendly, welcoming and warm. The attentive staff makes sure you are having a lovely dining experience and with the fantastic view and tasty food, it is hard not to.